This trail is a true classic. 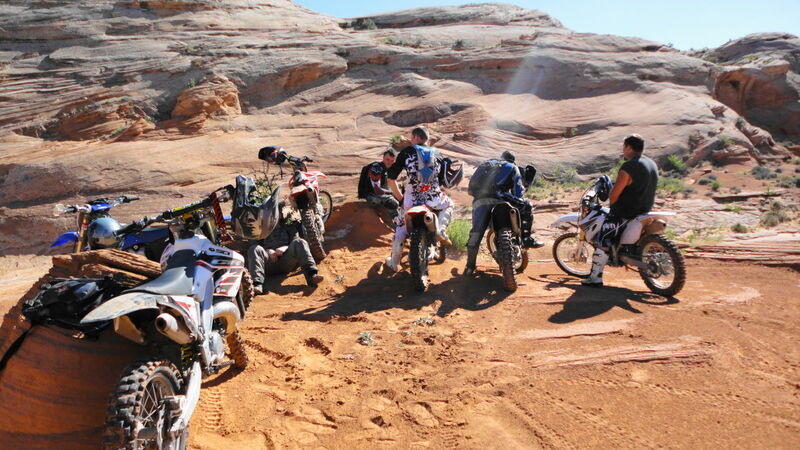 Dead Cow Wash, aka "The Luge" is a favorite among many including myself. This trail is located near White Wash Sand Dunes which is the staging location for this trail. Depending on your preference there are two large parking areas near the sand dunes. 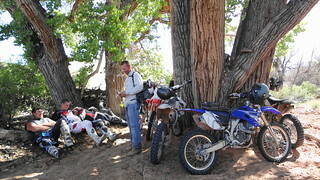 The sand dunes are a great place to camp and is an open play area to ride. Once you leave the dunes however you must stay on the designated trails. To reach the Dead Cow Wash Loop from the sand dunes travel South/West down the wash towards the river to where the wash ends. There is a road that travels along the fence straight South. Follow this road until you reach a redrock steps section to the right that drops into a red canyon. At the redrock steps you will drop down the slickrock and into the trail, but this first wash is only a taste as it will soon end as you climb out of the wash and onto another road traveling straight South. Travel along this road until you see the actual Dead Cow Wash on the right. The wash starts through some sand whoops and eventually turns into a slickrock "luge" shape that often contains water. 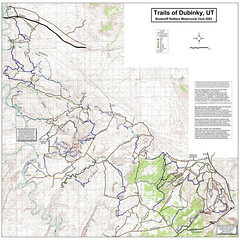 Pay attention to trail designations along the way as they have limited travel to single width in many sections. The wash will eventually reach the river if the water is not too high. If it's too high, the river meets you sooner and you'll have to take the high water route up a very sandy hill to the left. Either way you'll end up next to the river eventually where you'll head SW towards the bottom of "The Tubes". The Tubes section is a very narrow almost slot canyon type trail through the slickrock heading straight East from the river. 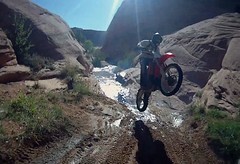 It is only wide enough for a dirt bike to travel this section. It's a short section, but is very fun. 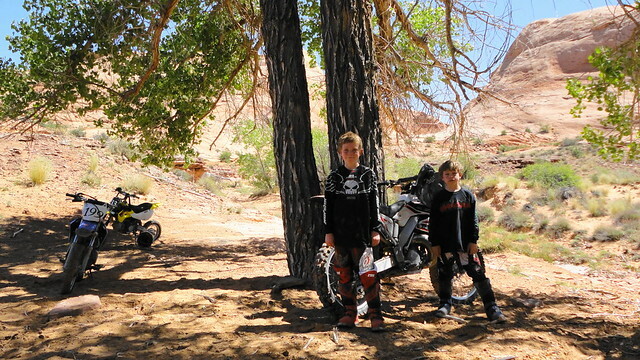 Often we will ride to the end, just past the spur to the overlook or travel to the overlook, then back down to either head back up the tubes or backtrack up Dead Cow Wash to experience the best parts of the trail again. The trail does loop back to the top of Dead Cow Wash however, but after the top of the tubes it is just easy riding back and nothing too special. It is the easy and quick way to end the ride though. For a longer ride you may wish to ride over to Tenmile Canyon and drop in mid way for another ride down to the river. 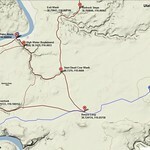 Location: Between Green River and Moab (see map). Click for Directions To White Wash Sand Dunes from your location. 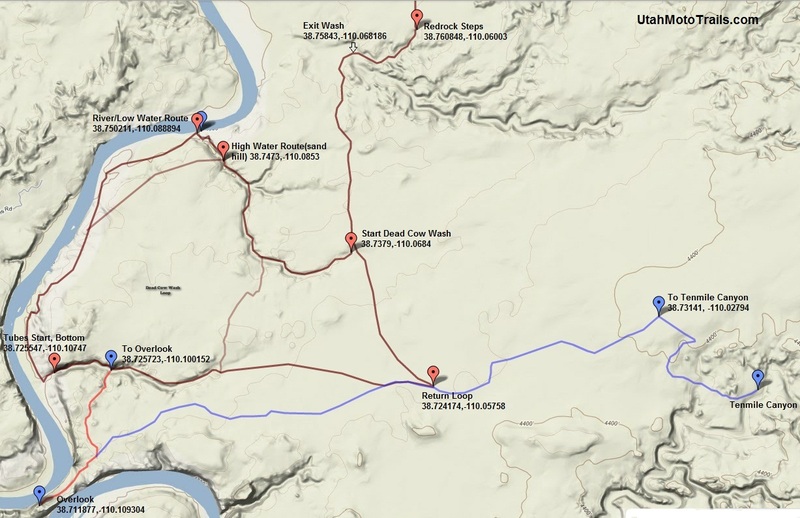 See the map to locate the trail head and navigate the trail. Click for Directions To White Wash Sand Dunes from your location. This trail does have some difficult technical sections in the tubes. The Tubes section is easier traveled from East to West, but if you like technical riding riding from the bottom will give you more of a challenge. The best way to do the loop is in a counter clockwise direction. Because of the technical sections going up the tubes this trail is rated difficult. Most of the trail is fairly easy, but not boring and very scenic. 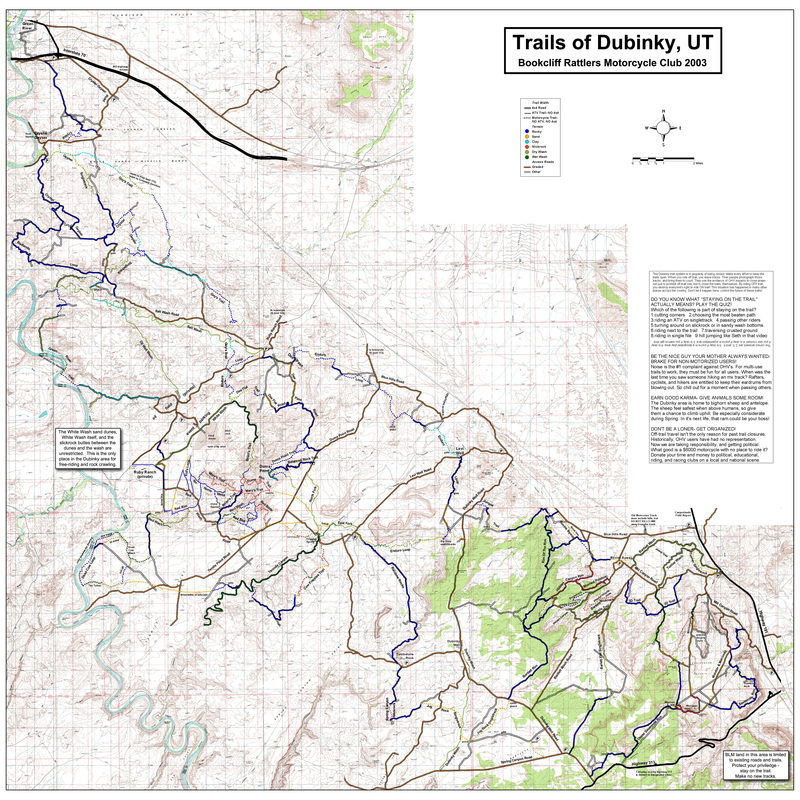 If you use the full white wash area(Dubinky) trails map be aware that a few of these trails are currently closed. Make sure to pay attention and ride what is open only. By not going off the trail we can continue to enjoy this area. Bottom(West end) of "The Tubes", close to the river after coming down the tubes.